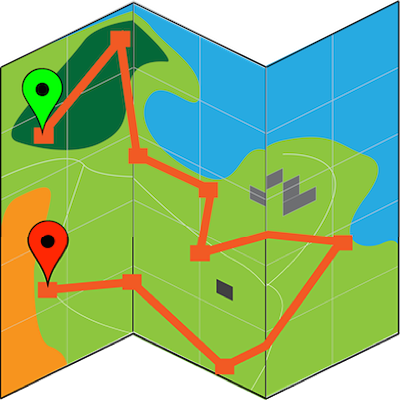 Back is Page sets it to toggle between the map view and the data pages view, after you have started the activity. If you have dwMap Premium, it will cycle through the three page views: map view - navigation page - data fields. If you have not started the activity, or have stopped it, the button will act as "back" and let you exit from the app. This is the default setting. Back is Lap sets it to operate like the built-in apps: as a "lap" button after you have started an activity, and as a "back" button otherwise. You can set this choice in Watch Settings, and the dwMap app on your watch will download it when you next start it. You can also change it and then refresh it during an activity by choosing Refresh on the app's menu (press-hold Up on watches without a menu button). This setting does not apply to watches such as the Forerunner 630 that have dedicated Lap and Back buttons, or the touchscreen watches like Vivoactive HR where you simply tap the screen to change between map and data pages.